My friends and food continue to endlessly inspire and amaze me every year. The last 2-3 years, through dining experiences in school and with my loved ones, I’ve realized that there are a lot of food and beverages out there that I find complete happiness, comfort and most of all love in. I used to be allergic to mango, but somehow it disappeared and once in a while I still get an itchy throat if I eat too much. 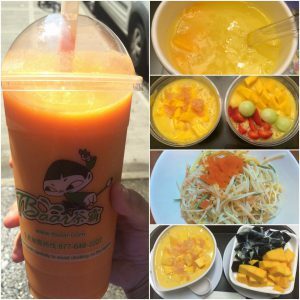 I started eating a lot of mango last year and now I love mango sago, mango smoothie, in sushi, in salads, and so much more. Based on a study that was read to my restaurant management class over the summer, avocado toast is one of the hottest food trends. I never really liked avocado before until I discovered guacamole. 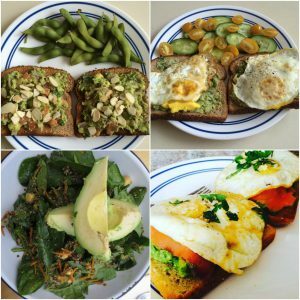 I enjoy eating avocado very much especially avocado toast and nothing make it taste better than a fried egg. French onion soup brings back memories of my dining room and culinary class that I took here at City Tech. I remember from the way it’s served, the type of bowl, and down to the type of broth and much more. This year I learned that my boyfriend loves French Onion soup and 90% of the time he will order it if we’re eating at an American or French restaurant, even at diners. I wanted to know exactly why he was so fascinated with this soup and so we shared a bowl recently and it was great. First off, it smells insanely good and melted cheese make a lot of things taste better. When this soup is done right, it can really make you happy and full! 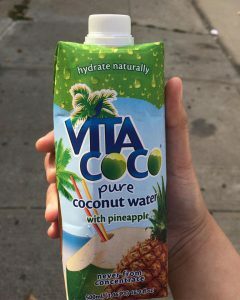 My sister and mom have been drinking Vita Coco for more than a year now and they said it’s very refreshing and keeps you hydrated. This summer, I gave it a shot and I love it. It’s better than a lot of drinks I’ve had so far. I’ve tried pineapple and passion fruit and it’s excellent. Last, but not least there’s another special food that I love and have ate, but never took it upon myself to cook or make food with it at home. Last summer and this year, I was exposed a lot to prosciutto and I loved it. I recently had one from Piccoli Trattoria. 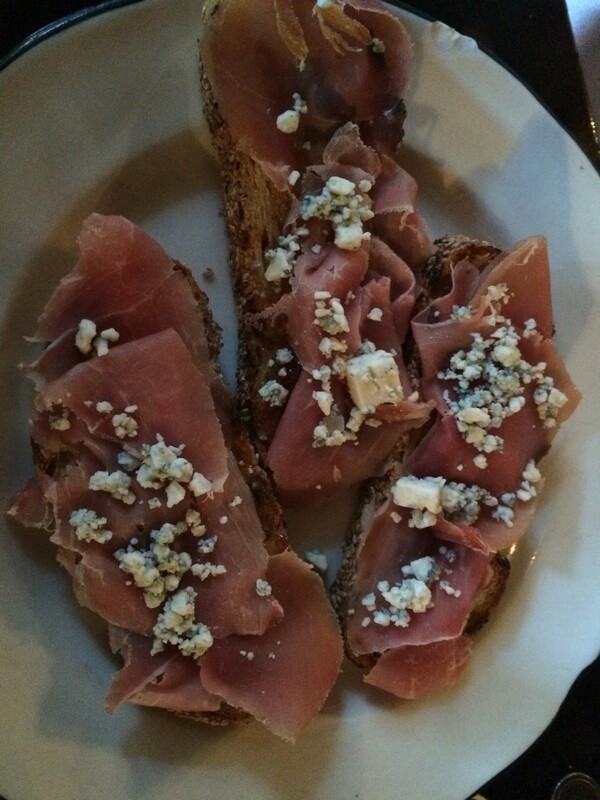 They had an amazing prosciutto with fig jam and on toasted bread. It was a good balance of salty and sweet. So these are the six food items that I have fell in love with this year and I am excited to see what I may try with the rest of this year and every year to come. I am excited to see what is next that will fascinate me. What foods have you tried this year that you love or enjoy? A blog is information or conversation that is published online. Having been blogging since about 2010/2011, doing my beauty/hair blogs, as well as reading the blogs of others, I noticed some great things and some wow factors. Therefore, I have comprised my first list about the pros and cons of Blogging. There is a market for everyone: What ever you think about, hope to be, or have an interest in, can be the topic of your blog. There will be several other people who will be interested in that information as well. If you google cleaning with lemons, thousands (made up figure) of blogs and individuals asking the questions will pop up. Easy to start: All you have to do is go on Wix, Blogger, WordPress, Facebook, or have your own site and start writting. There are several free and paid avenues to start from. I started with Blogger and WordPress before publishing my own site and adding a blog to it. All were free. It is a great marketing tool: If you have a product or service you wish to spread to the masses, just blog about it. You can post video, reviews, comments and more. Share it on social media, advertise on craigslist, and/or post links and ads to your blog or the blogs of others. You can make an additional income: Speaking of advertising for other blogs, you can use the your blog to get paid and advertise for other blogs, services and products. You can get paid or get free products to review products and share it on your blog. For example, I was sent a hair product to review for my beauty blog. People have freedom: With freedom comes responsibility, or one would hope. Some people post Lies, degrading things and disgusting things. Either way, because there are no limitations, they have that freedom. It can be hard knowing who or what is credible: With the freedom to post, people try their best to decieve others. They may have fake facts, fake logos to make you think its a known site, and other ways of deception. Make sure before you take ideas you do your research. Without a following you can be your only subscriber: For sometime it may seem like you are the only one reading your post. You maybe, just share it and market your blog. You can become an affiliate of another company also and get paid, which I spoke about in previous post. You will eventually get some people to comment or follow you. Self-ran: You have to put in the work on your own, unless, of course, its a team of bloggers like THE BUZZ. QUESTION TO THE AUDIENCE: What do you think are pros and cons of blogging. ? I’m so glad the summer is here because that means there’s some time in my schedule to enjoy food with friends, family, and my boyfriend and it also means a chance to try new food places and restaurants. I am a little sad that half of 2016 has passed, but at least there’s a lot to look forward to during the final half of 2016. I found out about Mussels ‘N Sausages on Yelp. I wonder if it has any relationship to Mussels & More (one of my favorite restaurants). 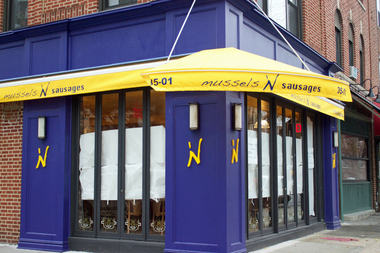 Mussels ‘n Sausages is located in Astoria, Queens and is a French, seafood, breakfast & brunch type restaurant. They have a pretty interesting menu and my primary reason for wanting to try this restaurant out is because I’ve developed a love for mussels. As you may already know, I love coffee! 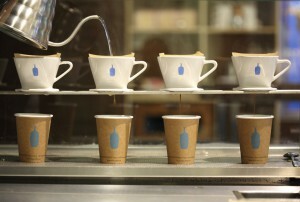 I haven’t tried too many coffee spots, but one place I am dying to try is Coffee Project New York. It’s an experience of coffee on a whole different level. Deconstructed is what sums up the coffee here. I’m pretty excited about giving this a place a shot, hope to try it soon. 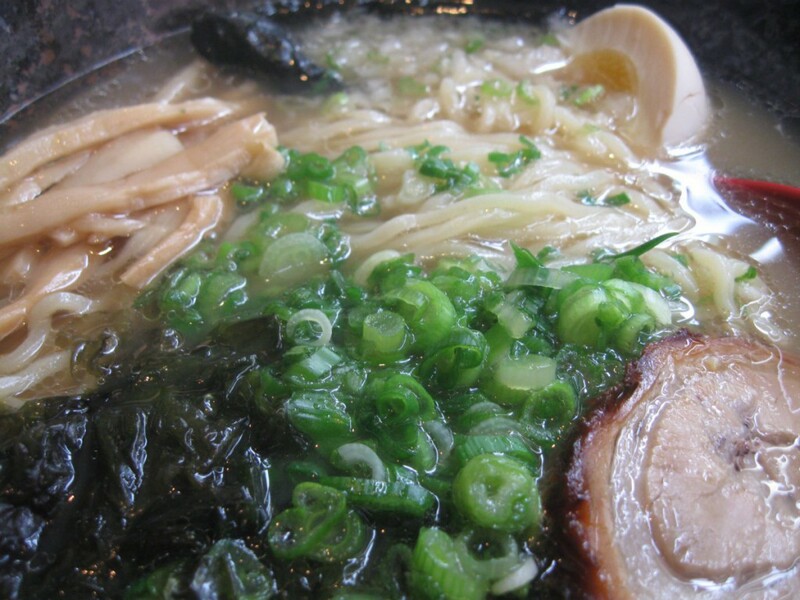 Momosan Ramen & Sake is one of the latest and greatest craze of in the world of ramen. 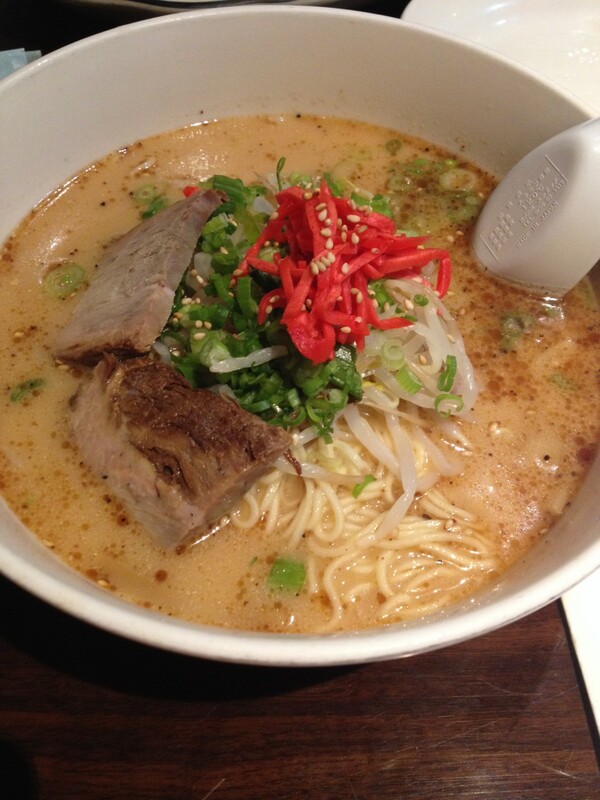 It’s great because it’s the first ramen restaurant that Iron Chef Masaharu Morimoto opened in The Big Apple. I’ve been to Bobby’s Burger Palace which was started by Iron Chef Bobby Flay, but for an Iron Chef to open a ramen restaurant is golden! It’s been opened for nearly two months and I still haven’t tried it. I know the lines and craze is probably crazy right now which is why I am going to wait a little bit longer. Hopefully I’ll run into the great Iron Chef on my first visit. One of the major dessert spots that has been blowing up on my Instagram and Facebook feed is this newest spot: 520 Desserts in Flushing, Queens. I must admit the desserts look a lot more attractive then what you can find in Brooklyn. One dessert that I’ve seen around my feeds is the: Honeydew Shaved Ice bowl. I love fruits and honeydew is one of my favorite melons, so this is absolutely honeydew heaven! Hope I can try this place out this summer. Another place I want to try and that I found on Yelp is 2nd City which is a casual, Filipino restaurant in Manhattan. 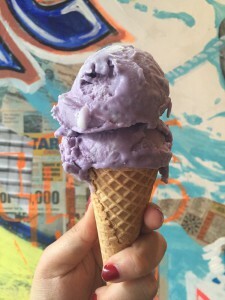 I love and admire Filipino cuisine, but when I saw the Ube ice cream on Yelp, I knew I had to add 2nd City to my list on Yelp of places to try. I’ve tried Ube butter before and it is absolutely wonderful. I can’t imagine what new heights Ube ice cream can have on me. 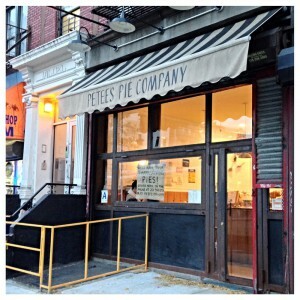 I was deeply disappointed when I found out Pie Face closed all of their New York locations because I never got to try their sweet and/or savory pies. 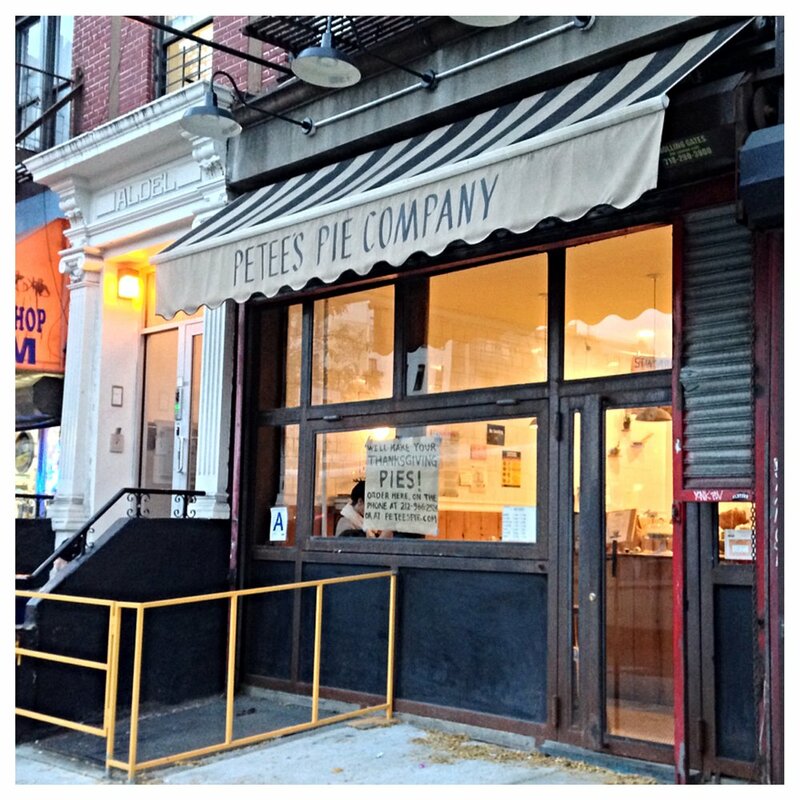 On Saturday evening, I passed by Petee’s Pie Company and they had a sign that said “The Absolute Best Pie in New York” , so of course with words like that I can’t not try it. They don’t have savory pies here, but everything sounds amazing and tempting. Another coffee spot I want to try is Blue Bottle Coffee which is quite famous. I definitely want to try their cold brew as I’ve heard a lot of good things about it. They have a location that’s just a few blocks from school which is convenient for those that are interested in trying too. So here are just a few places I hope to try by the end of 2016 and hopefully if I try them I will definitely write a review on The Buzz or on my food blog. What restaurants or food places would you like to try? 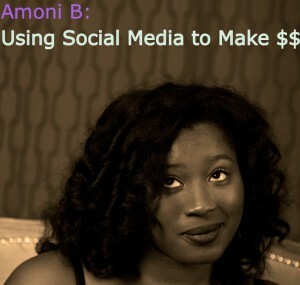 Last week I spoke about How To Go Viral on social media. This weeks blog is about using your audience/following to generate income. When I first started my YouTube and blogger site years ago I had no idea of its potential. I carelessly vlogged about my life, which of course consisted mostly of beauty and cosmetics. I began to receive numerous messages to join campaigns, promote advertisers, and review products. For many I was hesitant but I did get free products and joined blogging social sites. years later after the buzz i had dwindled I realized I could have monetized many of my videos, or obtained money from my former post. I wish I knew what I know now, I wish I was more consistent and I wish I took it more serious regardless of my situations. 1. Advertising (ie: Google Adsense): usually getting paid per click when you post about the company. You can use links or have actual ads on your site or social media page. 2. Affiliate Marketing: Companies will pay per person that visits their site or purchase products. Some sites pay based on the amount of people that follow you. 3. Selling Your Own/Service: Most people you know will either support or share, its free publicity on your own page. Now, I know at first it may start off as chump change but when you are persistent and consistent the possibilities can make you a millionaire, as many on YouTube. QUESTIONS TO THE AUDIENCE: Are you making money online? doing what? | Will you now consider using your following to generate income? When setting appointments make room for any occurrences. You never know if the train will mess up, which usually happens because the universe is messing with you for not being prepared. Yes, being prepared will definitely aid to timing. Days before figure out your route and possible complications, know your attire, set out prepped clothing, add the appointment to your agenda, and what ever else. Maybe it’s timing on when telling someone something, like a giving a heads up to your life partner about coming home late or going out. If that’s the case don’t wait till the last-minute or after the event happens. 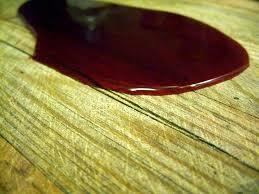 This will cause the other person to feel duped or unimportant. This also goes for being a no-show at work or school. When you have little time and a group project must get done, for example two cousins preparing for an event, remembering TEAM WORK MAKES THE DREAM WORK. Having someone to help means you can be two places at ones and divide tasks. Looking back on a recent event, while Indiyah, my sister-cousin, was getting her makeup done I could have gotten the shoes to save time. And always understand “Early is on time and on time is late.” A saying I learned while in my NEW training. Which means, if you have to be somewhere at 6:00 am, act like you really have to be there 5:45 or earlier. Sometimes I trick myself when setting appointments and alarms by putting an earlier time. QUESTIONS TO THE AUDIENCE: how do you stay on time/ early? | How does it make you feel when someone tell you news in an untimely fashion? | As an employer how do you feel about lateness and absences? Every foodie has their favorite places to eat and foods to eat. I’ve already covered where I like to eat in this blog post. Now, I would like to share with you my 10 favorite foods that I love to eat the most. Enjoy! 1. 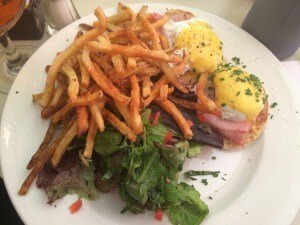 I’ve never thought I would be a fan of Eggs Benedict until a few years ago. Some people don’t like runny yolks, but I actually like it and don’t mind. Eggs Benedict is my choice of brunch when I am out for brunch with my friends or boyfriend. I think Eggs Benedict are the best when the Hollandaise sauce has a lemony taste to it and they are runny. 2. 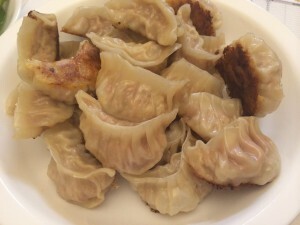 Dumplings are probably one of my favorite foods growing up and not because it’s a popular Asian food, but sometimes it’s just more pleasant to eat than your regular rice and noodles. I especially love the pan-fried dumplings my boyfriend and I make, fold, and cook together. I like my dumplings both pan-fried and boiled and I also like they come in different flavors. 3. 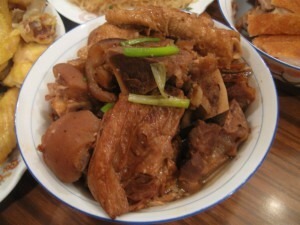 One of my favorite dishes that my mom makes best is braised pig feet with bean curd stick with mung bean sauce. This particular dish is made mostly on Chinese holidays and I always look forward to eating it because it is really delicious and has a bit of sweetness to it from the mung bean sauce. 4. I’ve always had a thing for fried calamari ever since I was high school. However, good fried calamari is hard to come by at times. 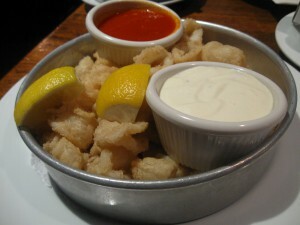 I’ve tried a lot of fried calamari and they always seem to be bland, tasteless, and overcooked. Good fried calamari should be hot, crunchy, and cooked just right. 5. Pad Thai is not only one of the more popular Thai dishes, but it is one of my favorite Thai dishes that I enjoy very much. I like that you can add any protein you want in it and/or have a vegetable one if you like. I like it not too sweet and with a little tanginess to it. 6. 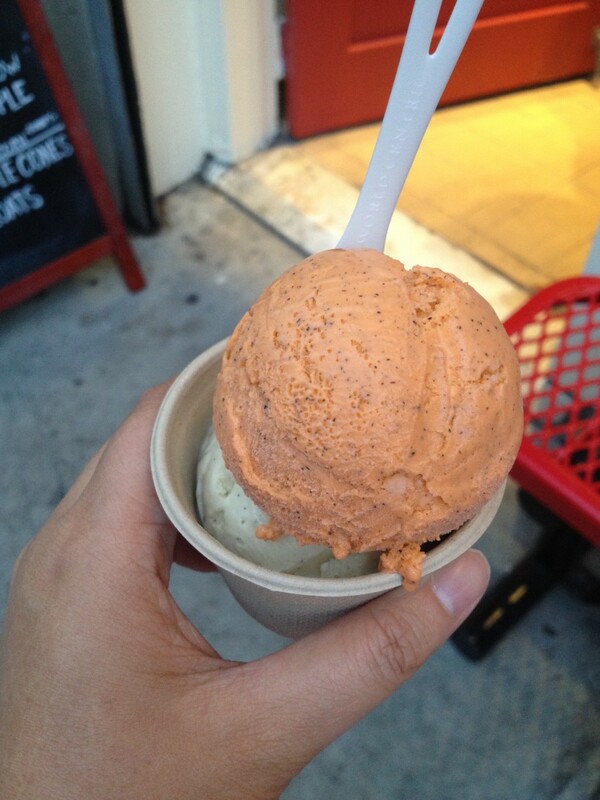 Ice cream is one my weaknesses, but also my favorite dessert. I sure have had a lot of ice cream this summer and so far my favorite flavors are: pumpkin, French vanilla, earl grey, almond, and cookies n’ creme. 7. I think it’s pretty apparent that I love ramen. I mostly eat it hot because it’s just a nice comforting food to have especially on chilly days like tonight or in the Winter. I really enjoy the different types of broth and style of noodles that are available. I haven’t had ramen in a few months, so I definitely need to have a bowl soon! 8. Another one of my favorite desserts is anything that incorporates with fruits and grass jelly. 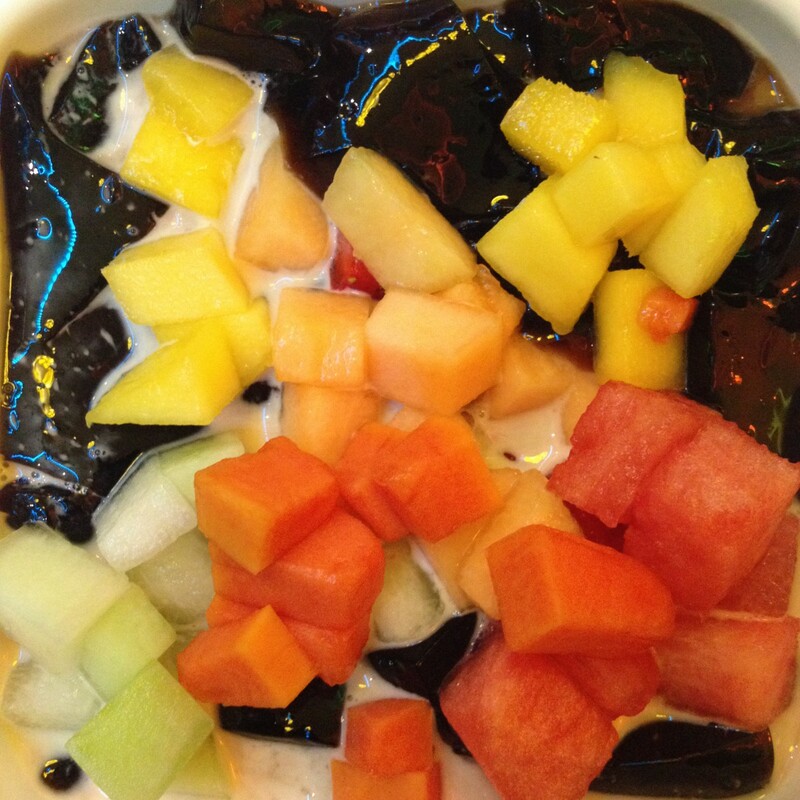 Grass jelly is a jelly-like dessert found in China. The jelly can be cut into cubes or other forms and then mixed with syrup to produce a drink and dessert and it is thought to have cooling properties especially during hot weather. 9. 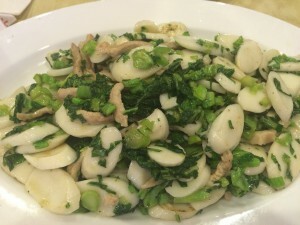 Rice cakes with preserved mustard and shredded pork is a popular Shanghainese dish and also one of my favorite dishes to order at a Shanghainese restaurant. The rice cakes are a little chewy and gummy texture and the preserved mustard is usually served fresh and has a crunchy texture to it. It’s quite a savory dish! 10. 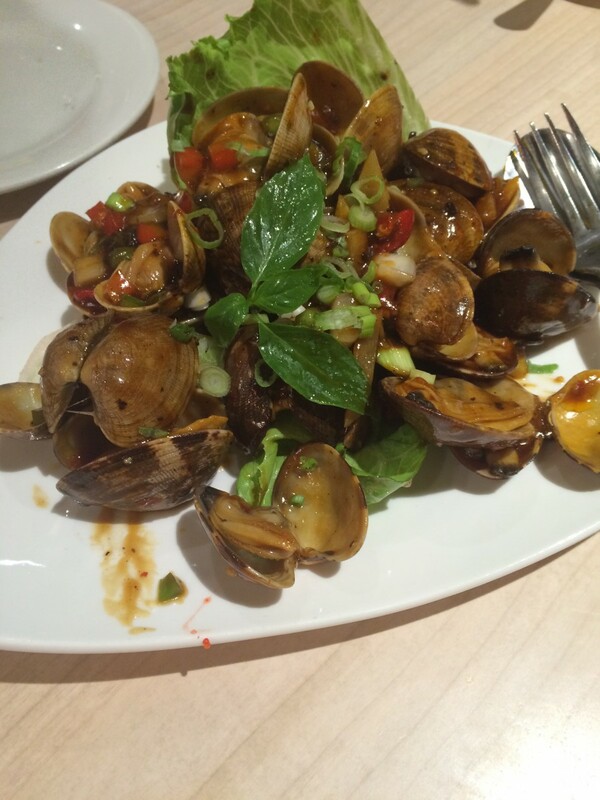 Last, but not least one of my favorite Chinese dishes is clams with black bean sauce. I love eating Italian style clams too, but I enjoy eating clams with black bean sauce a lot more and it’s quite tasty too. What are you favorite foods to eat? Be Thankful: Whether you are stuck in a rut or basking in the ambiance of success, you should practice thankfulness. Not being content with something is okay, obviously we must progress in life. However, amongst whatever seems to be going around you, take time to thank your creator or fate or what/whomever you believe caused you to be where you are today. Let’s not forget to thank yourself for breaking through strides, gaining wisdom, and having the strength you’ve acquired along the way. Have Me-Time: Somone meditate and can someone say “Woo-Sah”. Maybe it has been a long day of progress or a day of caos, either way take at least 15 minutes to yourself and reflect on the day, your situation, your goals, and the world around you. Being spiritual or not, meditation is a great way to remain calm and at peace. Use that time to gain clarity, overcome a creative block, and realize your future endeavors. SMILE: Like Duh! Smiling is a way to show you are happy but when you laugh , or perceive to be laughing, it triggers “happy” chemicals in your body. Your body will become so used to it, that you will crave happiness and become addicted. Watch comedies and be silly. Just smile and laugh. Caution: people will think you are crazy. j/k … or not. 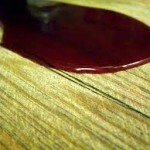 Just Say NO: Saying “no” seems to be such an easy task. Many people struggle with saying “no” to things that really do not want to do, to things they have no time for, to places that they hate being around and to tasks they dislike to do. Saying “yes” to something you wouldn’t put your effort into is a waste of time. You will dread every moment and procrastinate. IF you do end up completing the tasks it’s half a.. job. IJS. If you were to say “no” that will be a much heavier weight off your shoulders. Do things that makes you happy or you are comfortable doing. Have Goals: For those of you in the clouds, there is this thing called having a goal. A goal is something you want, hope, and/or will accomplish. You can over come said goal in the near future or within a longer time frame. It’s great to section the off by short, medium or long term and put a timer on yourself. Create goals and take steps to accomplish them. Keep track of progress and check off once complete. Make steps to complete each goal in whatever order you wish. Write them down and revisit or constantly to remind you of your place towards them. The magic in manifestation is YOU. Think Happy and Be Happy: It’s not rocket science. Think about ice cream or fun childhood memories. Think about the date you had on the weekend or those awesome shoes you just brought. Don’t take time dwelling on any negativity in or around your life. Give Back: To some this maybe a hassle, maybe why they are miserable. Lol. But when you help others, not expecting something in return, you will feel great about yourself and in general. How about volunteering at a school, hospital, local walk for a cause. Give back on crowd funding sites. Teach a skill to someone interested. Revisit people in your life and ask if they need help with anything help those not as privileged. Don’t litter. Be social responsible. QUESTIONS TO THE READERS: How do you remian happy? | How do you cheer yourself up? Today is Eat Your Noodles Day and what your about to read and see will make you hungry and possibly salivate for noodles. Growing up in a Chinese family and being exposed to predominantly Asian and Italian cuisine in my neighborhood, you can bet that I love noodles and eat it quite often. Since today is Eat Your Noodles Day, I would like to share with you a few of my favorite noodle dishes. One cuisine I love the most is Thai and the most popular and recognized dish of all is Pad Thai. 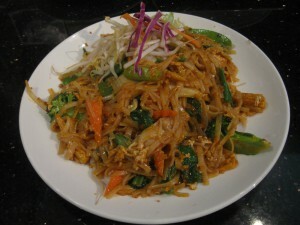 I absolutely love Pad Thai and the best one I’ve had so far was from BKNY Thai. 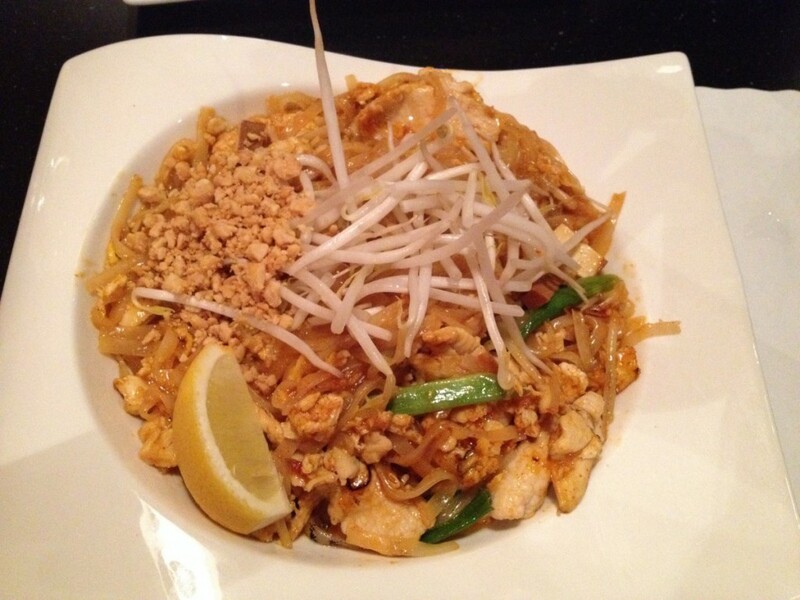 I ordered Chicken Pad Thai during my first time at BKNY Thai. The Pad Thai was on par and had just the right amount of sweet and tanginess to it. If your not familiar with Pad Thai, it’s a stir-fried rice noodle with eggs, chopped firm tofu, and flavored with tamarind pulp, fish sauce, garlic or shallots, palm sugar and often served with lime or lemon and crushed roast peanuts. 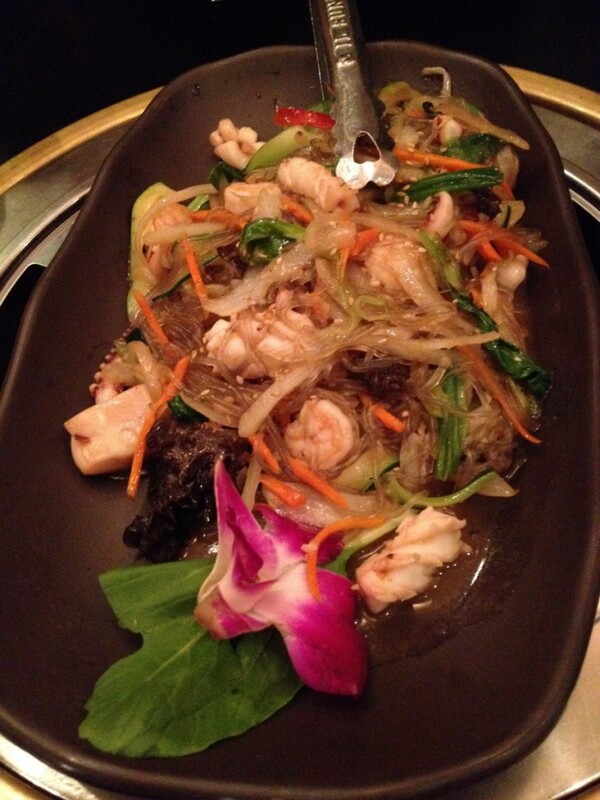 It also contains bean sprouts, garlic chives, fresh shrimp, crab or chicken or any other protein. I think it’s pretty apparent to you that I love ramen. One of the best ramen I’ve had so far is the Syo-Yu Ramen from Ramen Takumi. It is a soy sauce flavored broth with two slices of pork, bamboo shoots, soy sauce flavored egg, seaweed, scallions, and onions. Sounds like a lot, doesn’t it? I fell in love the first time I had this because it was so hearty, warm, and just amazing! 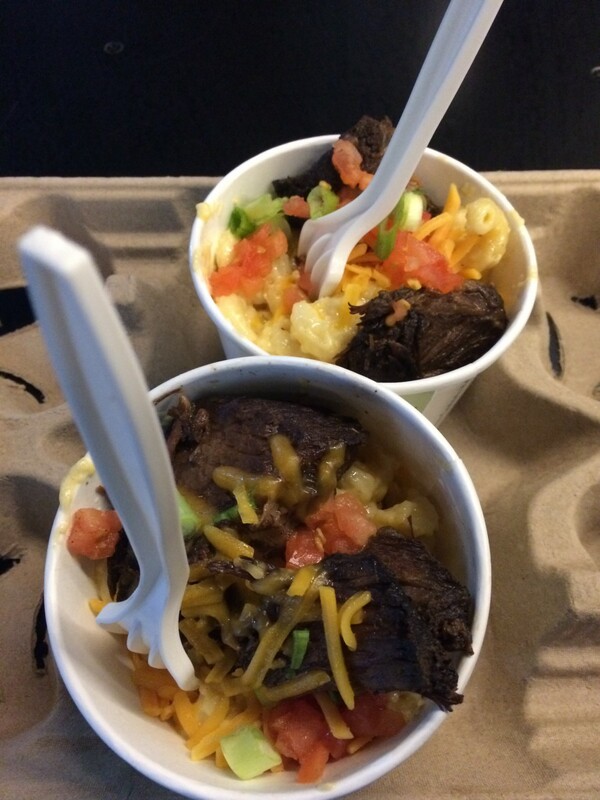 I don’t eat mac n’ cheese very much, but there is one mac n’ cheese that I have had and really enjoyed and that’s the Short Rib Mac n’ Cheese from Fatty Cue at the Barclays Center. This was possibly the best mac n’ cheese I’ve ever, ever had! It contained boneless short rib, shredded mozzarella cheese, chopped tomatoes, and scallions. 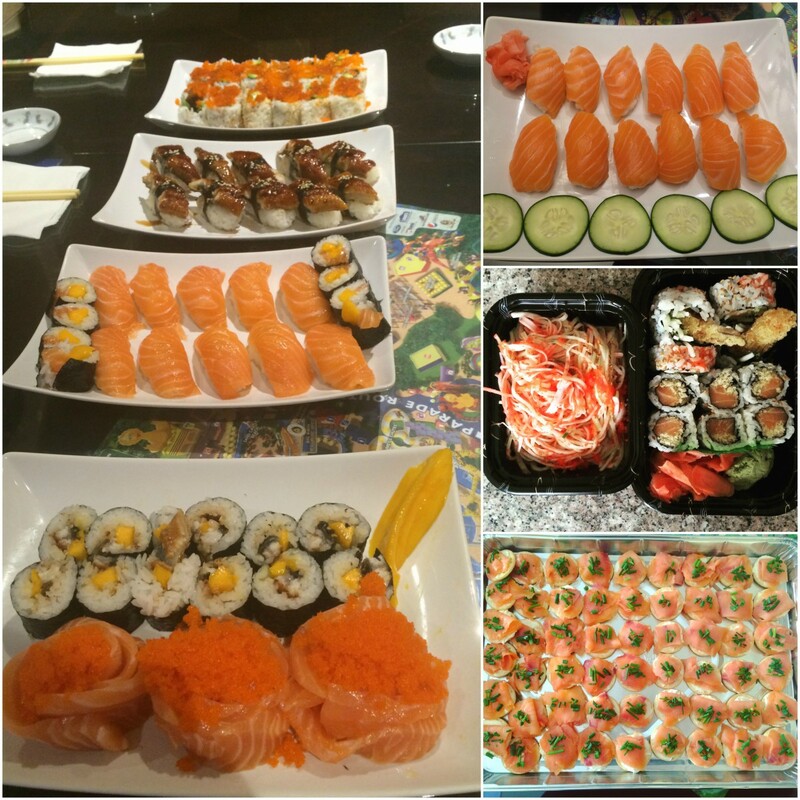 It was like absolute heaven! Another noodle dish I really enjoy is this Baked Minced Beef with Spaghetti from Hong Kong Tea & Sushi. I never thought spaghetti can taste so good with this Asian twist. 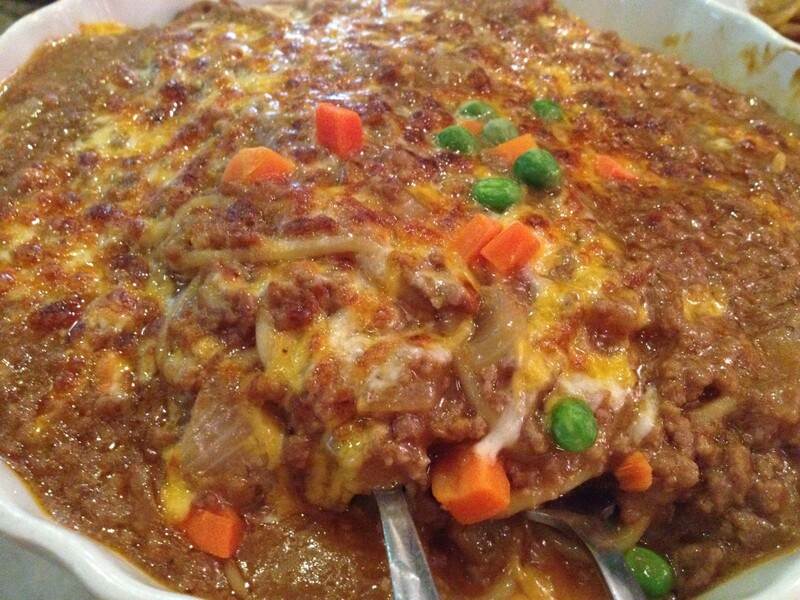 This dish is spaghetti topped with corn, peas, carrots, minced beef and light tomato sauce and cheese! Doesn’t that sound yum? I like that this dish is very filling, but also filled with vibrant colors and it’s mouth-watering delicious! Finally, I’d like to share with you another noodle I like to have every time I am craving for Korean food and it’s Japchae. Japchae is a Korean dish made from sweet potato noodles, stir fried in sesame oil with vegetables and sometimes served with beef and flavored with soy sauce and sweetened with sugar. It is usually garnished with sesame seeds. It can be served hot or cold. I like the sesame taste in the Japchae because it makes the noodles taste a lot richer. I’ve had it hot and cold before and I think I prefer to have it cold. It just tastes a lot more refreshing and pleasant that way. 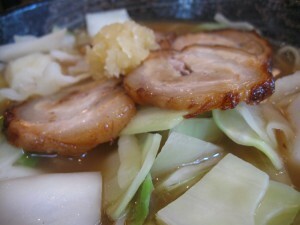 Now that I’ve named some of my favorite noodle dishes, maybe you will be inspired to give one of my favorites a shot. Do you eat noodles often? What are you favorite noodle dishes? It’s no surprise that this month has been nothing, but an icebox outside. However, this icebox-like weather shouldn’t put a crimp in your food plans. If anything, this freezing month and weather means it’s the perfect time to embrace and enjoy hot, hearty, and comforting foods. 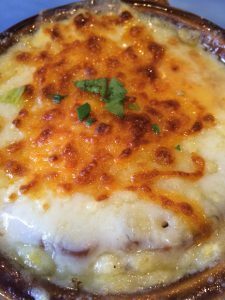 I’ve compiled a list of warm, mouth-watering deliciousness you can bask in during these subzero temperatures at least until spring is finally in the air. All of these foods make for a great idea on any cold day or night. Chicken pot pie is a true, classical, and harmonious comfort food. 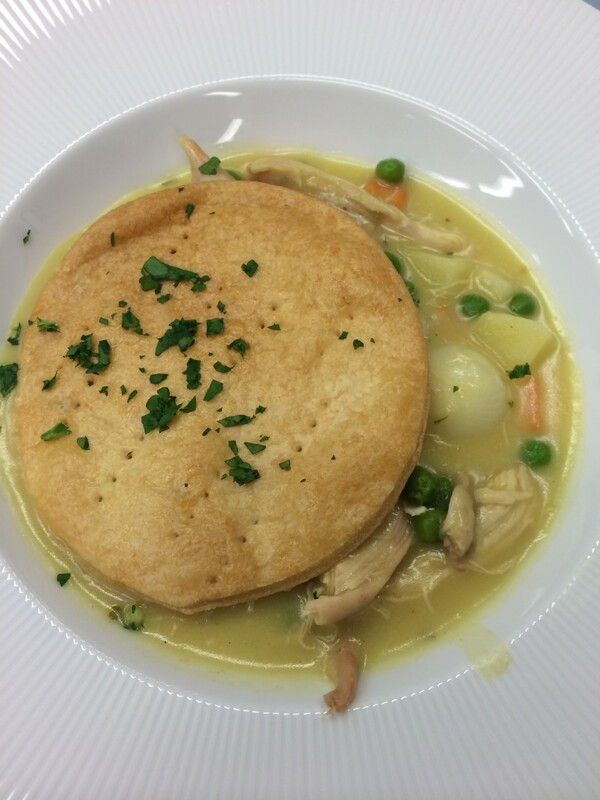 This is the chicken pot pie I made in my Culinary 2 class last semester. It’s a completely different version of the chicken pot pie you may be used to seeing. I really enjoyed this version of the chicken pot pie because it was based from my own creativity, but also because it’s a feel-good dish! Hot Pot is definitely one of my favorite style of cooking and eating. If you don’t know what hot pot is, it’s really simple because all it is really is a simmering metal pot of stock and ingredients are placed into the pot and cooked at the table. Typical hot pot dishes include thinly sliced meats, leafy vegetables, mushrooms, dumplings, seafood, and much more. The cooked food is usually eaten with a dipping sauce. Hot pot is commonly eaten in the winter during dinner time. 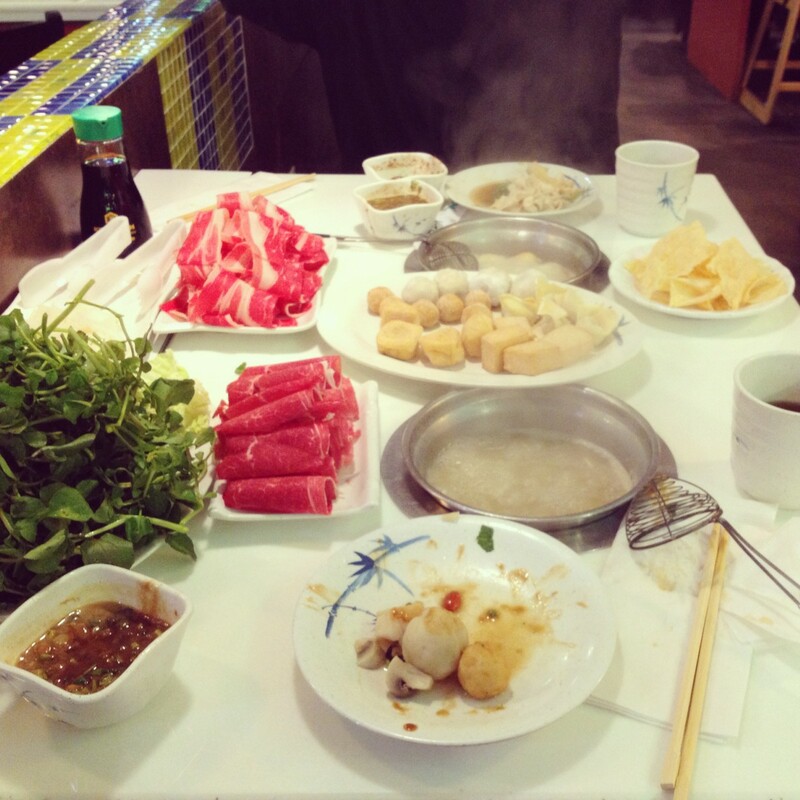 I love hot pot because it’s considered to be healthier, it’s a feel-good dish and style of cooking, and versatile. Hot pot is especially more fun when your doing it with family or friends. Pho is a classical Vietnamese noodle soup and specialty of a number of restaurants. It consists of an amazing broth, rice noodles, herbs, and meat. It’s primarily served with either beef or chicken. It can be garnished with lime, bean sprouts, cilantro, and cinnamon basil. The broth is heaven! 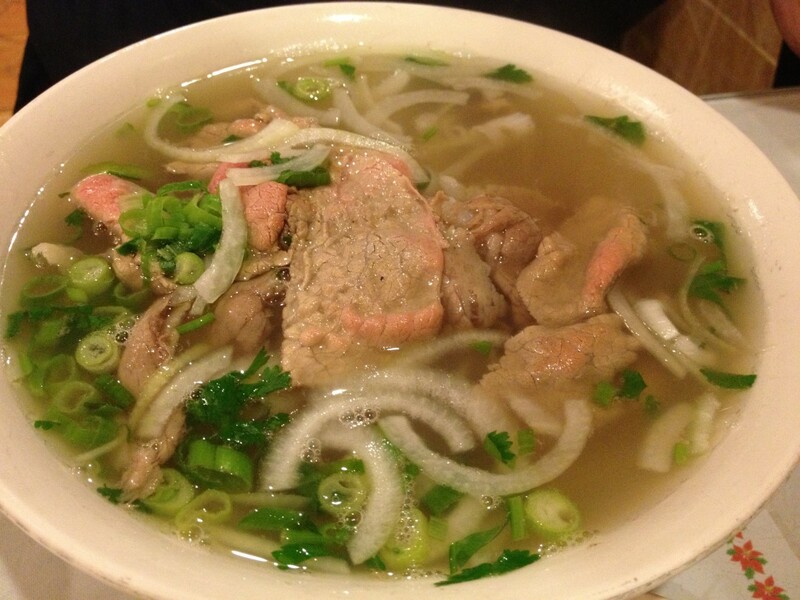 It’s full of beef and herb-like aromas and absolutely Vietnamese comfort food. 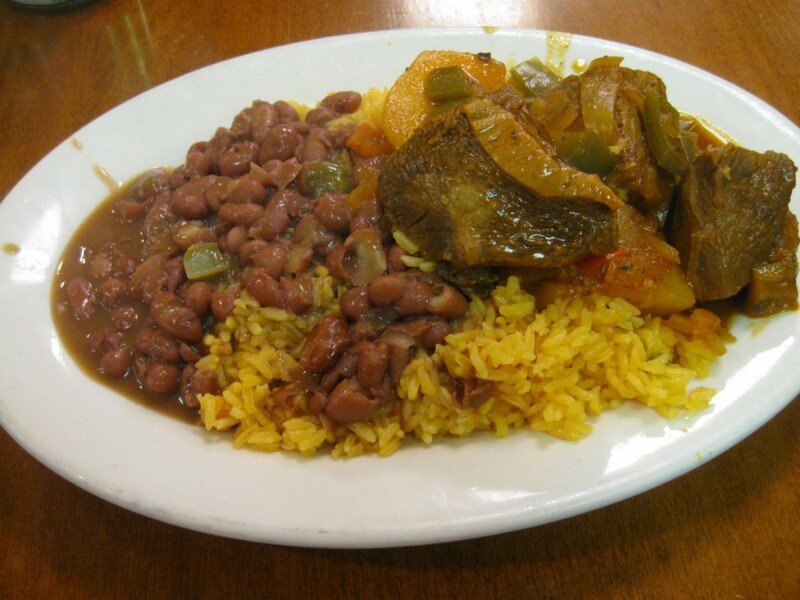 Every once in a while, I crave for Cuban cuisine and I usually would order a hearty beef stew with rice and beans. I love it when the beef stew are big and juicy and the sauce is drenched over the rice and beans which makes it more exciting and enjoyable! There’s nothing like staying warm with a warm and tasty dish! If you haven’t noticed by now the popularity of ramen is booming! The truth is ramen has always been around, but after it’s booming that’s when I really developed a love and excitement for ramen. It’s become a comfort food and a food that many have learned to appreciate and admire because not only is it delicious and savory, but ramen is a process and layers of different flavors and textures. Another food that is perfect for a chilly winter day is a bowl of creamy, velvety grits. I’ve had grits 2-3 times in the past two or three years and not only will it fill you up, but it’s real a pleasure to eat. There’s no real taste to grits like oatmeal unless you add in your own flavoring, foods, and garnishments. 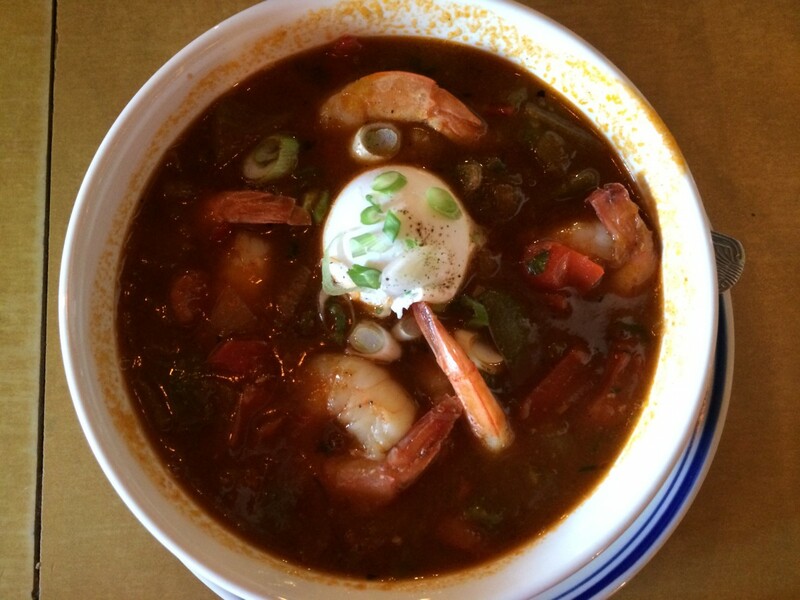 Wouldn’t you want to have a hot bowl of creamy goodness in front of your face right now? 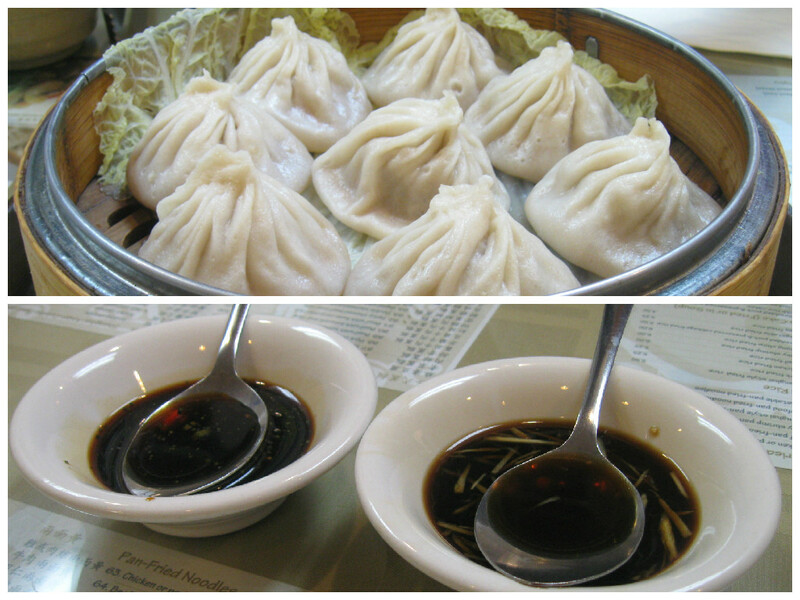 These are soup dumplings also known as xiao long bao. They are traditionally filled with pork and a solid meat aspic. When you take your first few bites into the xiao long bao, a savory pork soup will explode in your mouth. Xiao long bao is best consumed when hot. I hope you’ve found this list of foods to be helpful especially with the days we have left of this frigid weather. If you haven’t tried any of these yet, I think you should at least it give a shot at least once and see if you may enjoy it. What kinds of foods do you enjoy in the cold weather?